Certified Physician Assistant Thomas Maday of Rice will began practicing at Cuyuna Regional Medical Center’s Longville Clinic in January 2018. Prior to that, Maday worked at CRMC’s Baxter, Crosby and Longville clinics for five years and has also practiced at St. Cloud Medical Group’s Urgent Care since 1997. 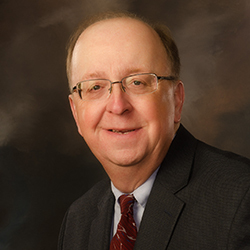 His other experience includes working in family practice in Cold Spring, Minn.; Dublin, Texas; and in Fairmont, Minn. Maday was also a high school chemistry and physical science teacher for three years in Holdingford, Minn. Licensed by the Minnesota Board of Medical Practice, Maday earned a Bachelor of Science degree in Physician Assistant Studies at the University of Texas Medical Branch in Galveston. He also holds a Bachelor of Science degree in Mathematics and Physical Science from Minnesota State University-Mankato. He is a Fellow of the American Academy of Physician Assistants and Minnesota Academy of Physician Assistants.